Featuring a $100,000 Connected Equipment Warranty! 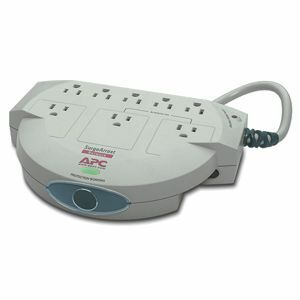 The APC Net 8 is designed to protect equipment from power fluctuations and spikes and can accomodate up to 6 transformer blocks (3 without covering other outlets). 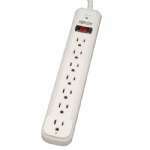 2 "Always On" outlets to provide conditioned power directly from the utility source. 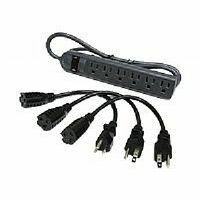 It is recommended that they be used for charging equipment or devices that require constant power. A Master on / off switch is easily accessible and recessed to prevent accidental turn-off. SurgeArrest provides the lowest let-through voltages for maximum protection. 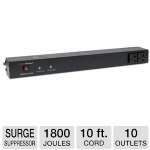 Moreover, SurgeArrest's 330V rating is UL's best available rating against devastating surges and spikes. 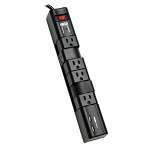 All SurgeArrest products have received UL's 330V rating.